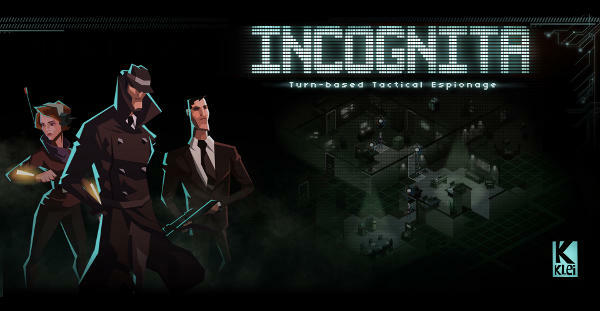 Klei Entertainment is taking their game into an entirely new genre with Incognita. Co-founder Jamie Cheng sat down with Rock, Paper, Shotgun to give the gritty details of its latest game. Best known for the Shank games and Mark of the Ninja, Klei's Saturday morning cartoon stylized visuals will now be used to back up a turn based espionage game very much in the vein of the popular XCOM series. It seems like a natural evolution for the indie developer as well, whose games have only grown smarter and deeper with each release. The Shank games, bless their mindless violence, are more of an homage to glorious hack 'n slash of days of yore. Mark of the Ninja took a much more satisfying and tactical approach with fully realized 2D stealth gameplay. It's most recent game, Don't Starve, combines an open-world sandbox with a time management approach as a scientist attempts to stay alive in a demon world. A step back in quality from Mark of the Ninja, but a fun game all around. Now that Klei is adding turn-based strategy into the mix, we'll be able to see how it deals with something much more meaty. Strategy and RPG stats are difficult enough to balance, but now we are talking maps, enemies, units, weapons, and objectives. Much of the Mark of the Ninja team is being put to work on the game with only three or four guys wrapping up its DLC. Much like Don't Starve, Cheng confirmed that Incognita will be released before it is finished and the community will help flesh out a final product with advice and criticisms. People are gonna be able to play it early while it's still in development [and offer feedback]. Don't Starve was this weird experiment that blew up to be just amazing. We wanted to build a community. I knew that. And I wanted to work with them and talk with them all the time. Don't Starve ended up a way better game because of the community. Cheng confirmed that the PC build is the main version of the game, but an iPad build is also in the works. Mac and Linux will release slowly afterwards.